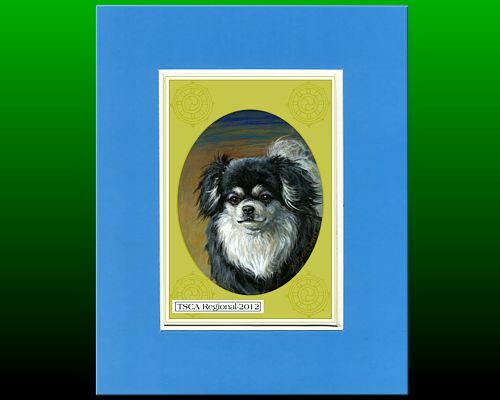 This is the sister project for Tibetan Spaniel Club of America. These are the Regional show trophies for the show that followed	their National Specialty the day before. Thank you so much for entrusting me with this mission to create memorable trophies for both your National Specialty trophies and your Regional show. Imagine your club with such treasures to offer. All trophies are absolutely unique and will become heirlooms of the breeds. 2012 Tibetan Spaniel Club of America Regional Specialty was held	in Tulsa Oklahoma on 24th.